One of the questions we are often asked is “is there anything fun to do for 4th of July/Labor Day/Halloween/President’s Day in Pittsburgh?” Well, we may never have a good answer for how to celebrate President’s Day but we do have some answers for Halloween. This year there are a TON of great ways to celebrate Halloween. The fun loving folks from Mad Mex are putting together a big bad Halloween party for Monday, October 31st – at the new, super large and super great Mad Mex Location in Shadyside. $20 gets you in the door and includes snacks a plenty. Costume contests, DJ and drink specials. 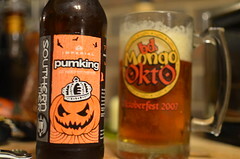 ATTENTION pumpkin beer lovers – they are saving a keg of Pumking for the party! 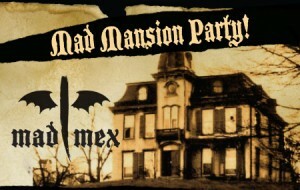 Tickets are limited and we’re pretty sure this will sell out ASAP – stop by the Shadyside Mad Mex to purchase tickets.